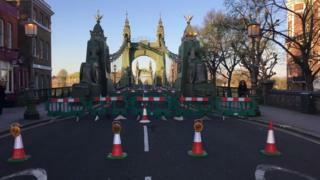 AA president Edmund King said: “We can’t afford to have Hammersmith Bridge closed ‘indefinitely’. It is an essential artery to keep London moving. “It will cause major congestion and hence more emissions – ironically in the same week that the ultra-low emission zone kicked off.